The cheapest business class flights to Toronto from London we found for a client last month were for an amazing £1,451 return. To get today’s best price simply complete the form on this page and we’ll get back to you quicker than you can say CN Tower! Air Canada operates the Boeing 787 Dreamliner between London Heathrow and Toronto, which features 20 International Business Class seats with direct aisle access. The cabin features Executive Pods with an adjustable cushion system that can be extended to an 80-inch, lie flat bed, as well as a headrest with in-built massage function – a unique feature for Business Class. Personal entertainment systems are the largest available in Business Class on any North American carrier, measuring 18-inches and equipped with touch screen handsets. If you’re a coffee drinker you’ll be pleased to know that Air Canada serves freshly brewed Lavazza cappuccinos and espressos to give you your caffeine fix. BA uses a 787 Dreamliner and a Boeing 777 on the route. The airline’s Club World Business Class product features lie-flat beds, 10.4 inch entertainment screens, in-seat power sockets and luxury bedding by The White Company. Amenity kits are also designed by The White Company and contain Elemis skincare products so you can freshen up during the flight. When it comes to dining, British Airways offers a three-course meal paired with expertly sourced wines, as well as a Club Kitchen where you can help yourself to snacks and treats during the flight. As a Business Class customer you also benefit from perks at the airport, such as dedicated check-in, a generous baggage allowance, fast-track security and priority boarding. 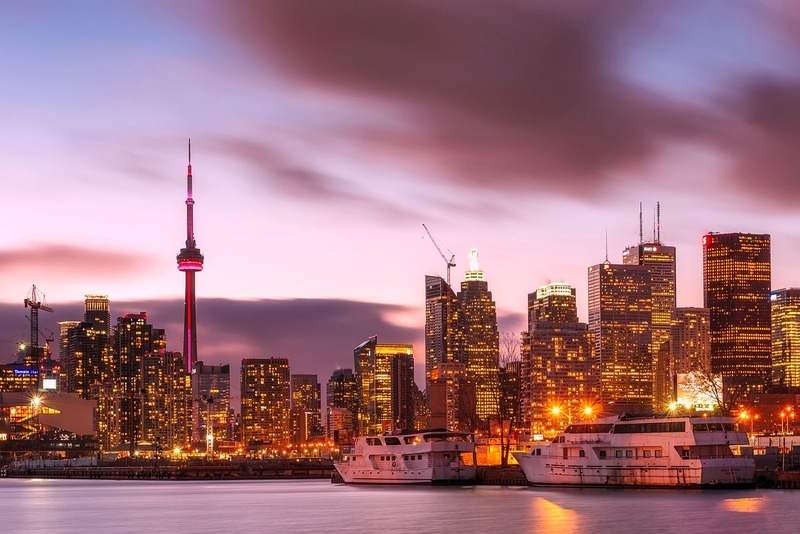 Direct business class flights to Toronto from London land at Toronto Pearson International Airport and, on arrival, there are numerous options for getting downtown. Taxis have flat fares based on the time and destination you’re travelling to, but expect to pay around $40-$60 for a cab to downtown. Alternatively you can hail an Uber or Lyft if you prefer to use ride-share apps – these can sometimes be a bit cheaper. Toronto has an excellent public transportation system but if you wish to take a road trip outside of the city then you may want to hire a car. You’ll find car rental counters for Avis, Budget, Dollar/Thrifty, Enterprise, Hertz and National/Alamo on Level 1 of the Terminal 1 and Terminal 3 parking garages. One of the quickest ways to get downtown is by taking the UP Express, which is a dedicated air-rail link that speeds travellers from Toronto Pearson International Airport to Union Station in the heart of downtown Toronto. The trip takes roughly 25 minutes and trains depart every 15 minutes, with fares costing just a few dollars. Located in a restored 1850s chocolate factory in Toronto’s historic Queen Street East district, The Ivy at Verity is an excellent boutique option for your stay in Toronto. The hotel’s rooms are inspired by the luxury boutique hotels of Europe, offering an old world experience but with all the mod cons. Each of the luxury rooms offers a king sized Hastens bed, hand-crafted Italian linens, heated floor, deep soaking tub and a large outdoor terrace overlooking a private 18th century courtyard. The Thompson in Downtown Toronto is definitely a place to see and be seen – during the Toronto Film Festival the hotel’s rooftop bar and pool attracts the likes of Bradley Cooper and Kate Hudson. Rooms offer floor-to-ceiling windows with sweeping views of the Toronto skyline and Lake Ontario, along with dark hardwood floors and contemporary furnishings. Distillery District – The Distillery District is a pedestrian-only zone lined with the historic red brick buildings of the of the renowned Gooderham & Worts whiskey distillery. Make sure you head to the Mill Street Brew Pub for lunch and a pint before exploring the art galleries, boutiques and artisan shops. Kensington Market – A bit like Portobello Road in London, Kensington Market is a quirky street market filled with vintage clothing stalls, food stands, eateries and graffiti. It’s a funky and vibrant neighbourhood that is great for people watching and taking photographs. CN Tower – The most iconic landmark in Toronto, the CN tower is a 553.3 m-high concrete communications and observation tower that dominates the skyline. Make a reservation for the landmark’s 360 revolving restaurant or if you’re feeling more daring, book the EdgeWalk – the world’s highest full circle hands-free walk on a 5 ft (1.5 m) wide ledge encircling the top of the Tower’s main pod. Yorkville – If you’re looking for upmarket boutiques, Yorkville is Toronto’s poshest neighbourhood. Here you’ll see some of the most stylish people in Toronto carrying shopping bags from some of the city’s best stores. If you’re visiting Toronto in the summer and feeling a bit parched, head on over to Hemingway rooftop bar for a drink in the sunshine. If you’re a British Citizen you don’t need a visa to visit Canada for short periods, but you’ll need to get an Electronic Travel Authorisation (eTA) before you travel and your passport should be valid for the duration of your stay. Winter months from December to February can be bitterly cold in Toronto, so you’ll want to pack your big puffy jacket and extra layers. In contrast, the summer months from June till September can get hot and humid, with temperatures reaching around 25 degrees Celsius. You may want to pack a light jacket for the evenings though, as temperatures can drop at night, particularly at the beginning and end of the season. To get the best cheap Business Class flights to Toronto, simply complete the form on this page or call 0044 207 255 1234 to speak with one of SkyClub’s fast and friendly experts. We will find you special, discounted fares that are not available online. So, by the time you take your business class flights to Toronto, you’ll feel happy knowing that you’ve paid less than the person seated nearest to you! 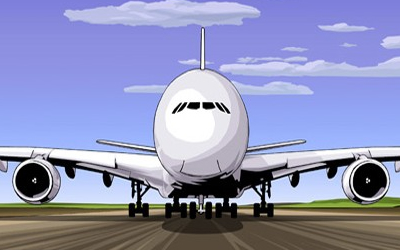 Have a great trip and – if you want to save money – please book with SkyClub.